The graffiti art has entered 21st century with a bang, and if it was ever looked down upon, it is considered art as much as any other in the society of today. More so, it has even entered the white halls of many galleries, making graffiti art accessible and notable. Two of the artists that have helped graffiti make this transition, as well as leave their own mark on the movement, are John CRASH Matos and Pro176. They both stand as the representatives of the first and the new generation of graffiti artists, and though they both deal with the imagery of comics, they give it their own flavor and do it in their own signature style. 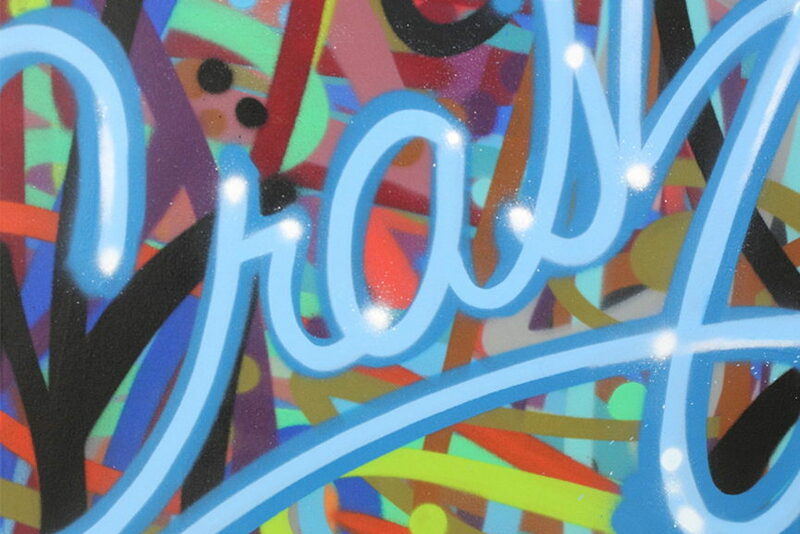 Bringing these two together at the start of 2016 is the Zimmerling & Jungfleisch Galerie, hosting a duo show of CRASH and Pro176 street artists titled Revisiting Movement: John CRASH Matos x Pro176. 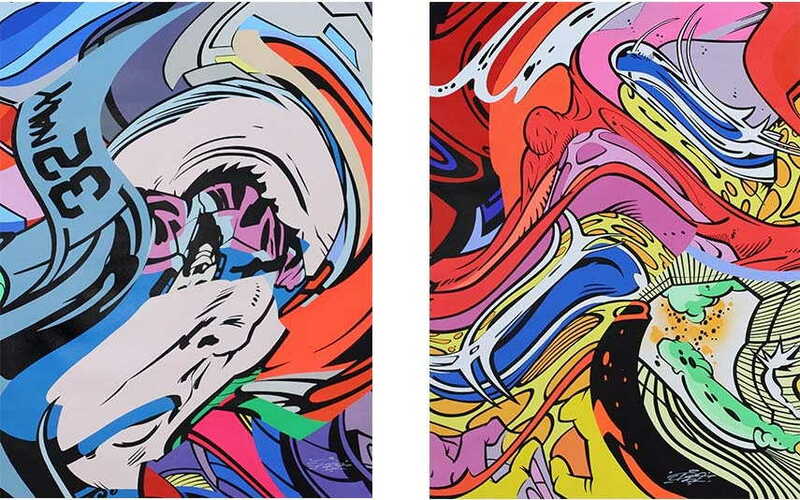 Both of the artists are in their own rights iconic in the world of graffiti, and in their work one can recognize the obvious influence by the comic books, their good versus evil ideals and bright colors. Although each artist brings about a different style and implementation of the motif, they are both undoubtedly masters of the craft. Pro 176 was born in 1976 in Paris, France, and his comic book influence comes from a very young age, as he used to read them as a boy. Learning how to work letters and styles, his school days were replaced by graffiti terms, mastering his craft on walls and any type of visible formats. He was a part of several graffiti groups in his artistic career, and as a member of the Ultra Boys International he started working on a new form of graffiti based on Marvel comic books, and such elements can be seen in his work to this day. 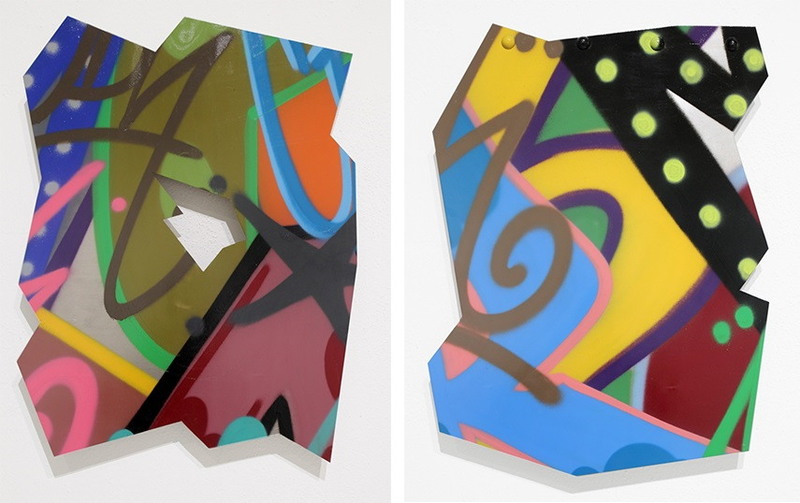 John CRASH Matos was born in 1961 and got raised in New York, and his early work includes drawing graffiti on trains which caused his alias CRASH to circulate the city. His career took off after he curated the ground-breaking Graffiti Art Success for America at Fashion MODA, launching the graffiti movement that has remained very active through today. 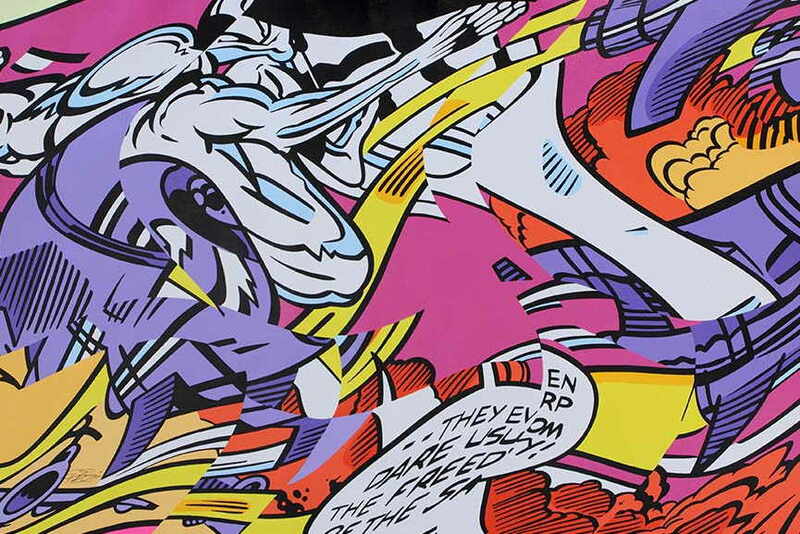 The comic book base is obvious in his work, and it’s often described as a mix of Pop art and graffiti. 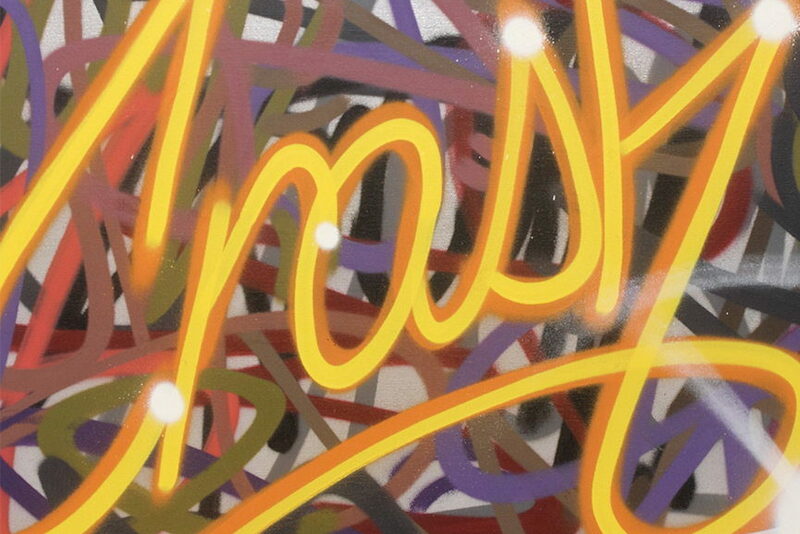 Putting together two of such experienced graffiti artists is truly a sight to be seen. 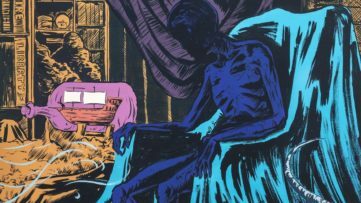 Though they both work in the same “field,” each artist gives their comic book representation a certain distinct nuance, revisiting movement in the upcoming exhibition. 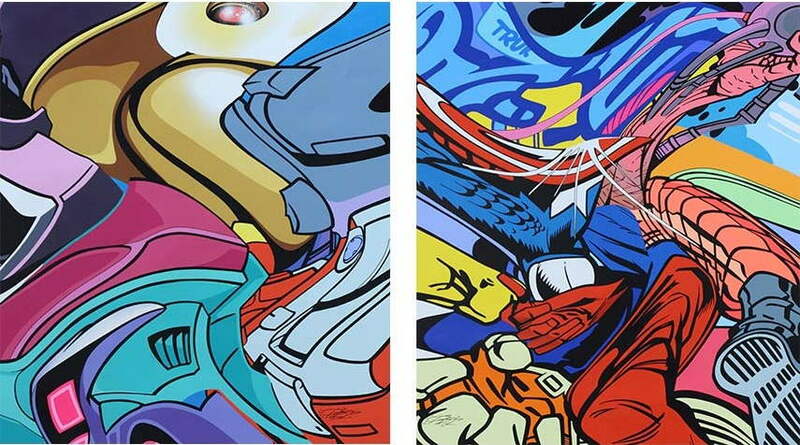 Where CRASH’s imagery is filled with bright flashy colors depicting abstract letters and graffiti symbols, Pro176 focuses more on super heroes, cosmic villains and robotic characters in his work. Regardless of differences in portrayal, all pieces radiate with energy and the line movements are compelling to watch. 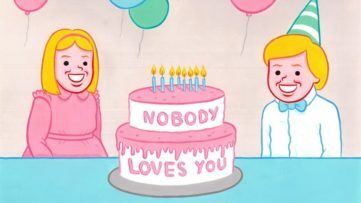 Their technical skills are apparent, and whether you religiously read the comics or have yet to open your first one, the exhibition at Zimmerling & Jungfleisch is a must-see for any art lover. Bringing together two graffiti artists that have not only helped graffiti transition from street to gallery, but also assisted its boom and acknowledgment with their work, the Zimmerling & Jungfleisch Galerie presents a duo show within its walls. Influenced by the comic books, the colorful pieces by CRASH and Pro176 depict heroes, villains, unknown galaxies and other graffiti symbols in a powerful and energetic show. The Revisiting Movement: John CRASH Matos x Pro176 exhibition will open on February 18th at Zimmerling & Jungfleisch Galerie in Saarbrücken, Germany, with Pro176 attending the opening reception from 6:30 – 11PM. The exhibition will be on view for the public until April 9th, 2016. Featured images: Pro 176 – Revisiting Movement; John CRASH Matos – Revisiting Movement (detail). Images courtesy of Zimmerling & Jungfleisch Galerie.